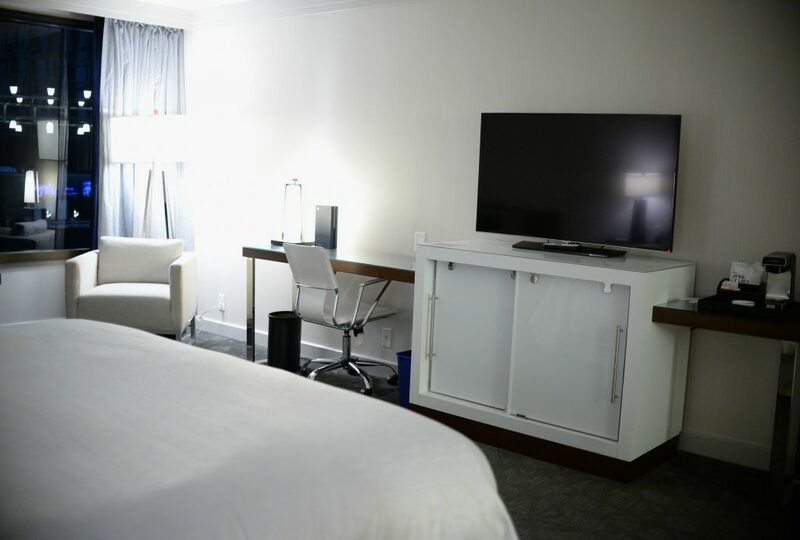 Looking to get out of the hustle and bustle of the downtown area, The Sheraton Bloomington Hotel is just off the I-494, and minutes away from Twin Cities. 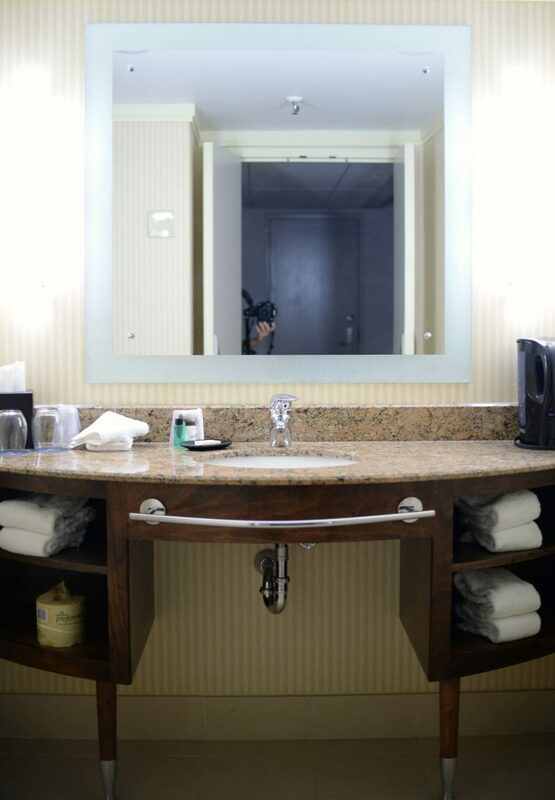 It’s a short drive to downtown Minneapolis, The Mall of American and other major attractions. 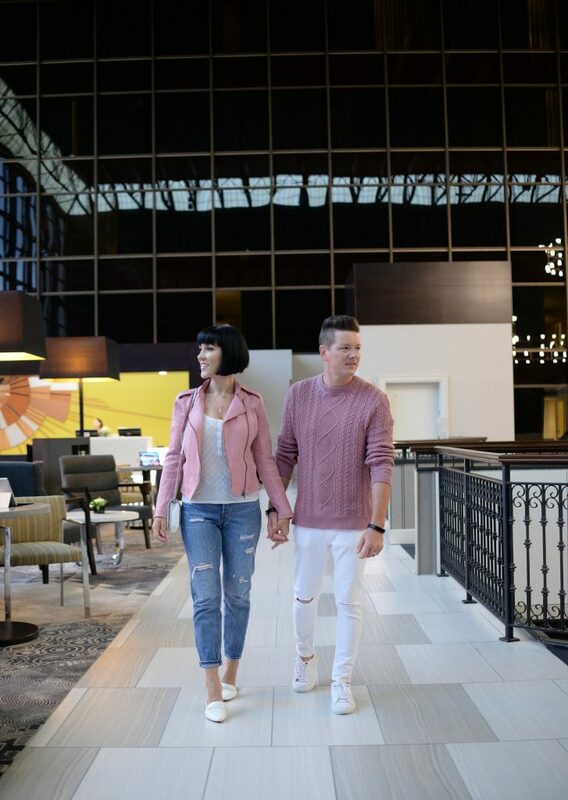 The hotel finished up major renovation in 2015, and now with over $15 million dollars invested into this space, it feels like a brand-new hotel. 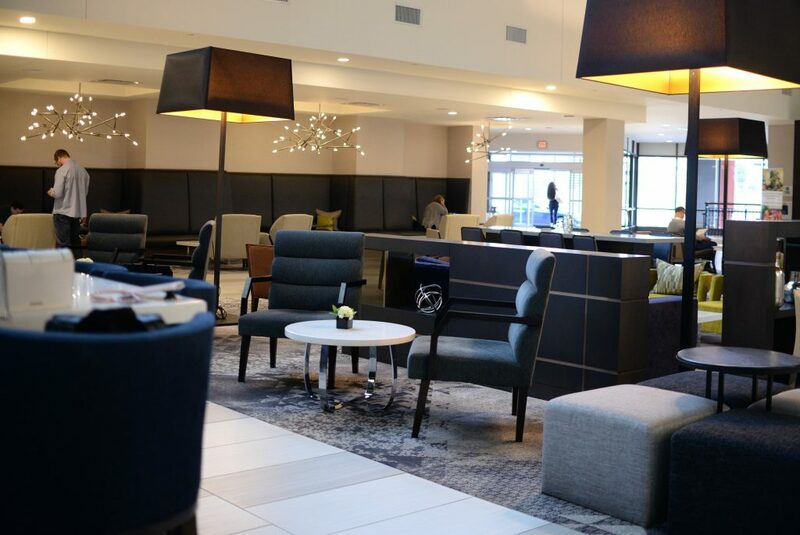 Upon walking into the modern and luxe Sheraton Bloomington hotel lobby, which features a large sitting area, brand-new check-in area and restaurant, you can immediately feel how spacious this hotel is. I was greeted with huge smiles, warm greetings and excellent conversations. It set the tone for a fun-filled 2 days with them. With its high window ceilings, it provided a bright and airy feel. 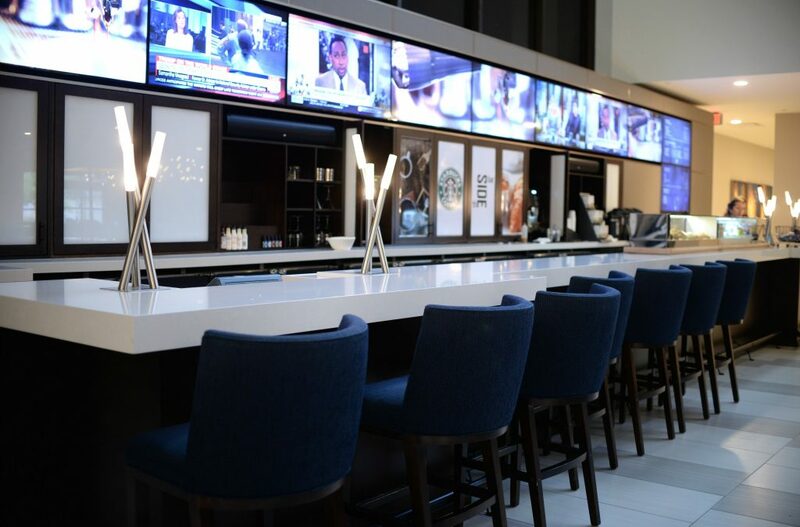 Across from the check-in area you’ll find a 30-foot long bar with video displays that provide a relaxed and inviting café experience during the day (it turns into a Starbucks) and cocktail hour in the evening. 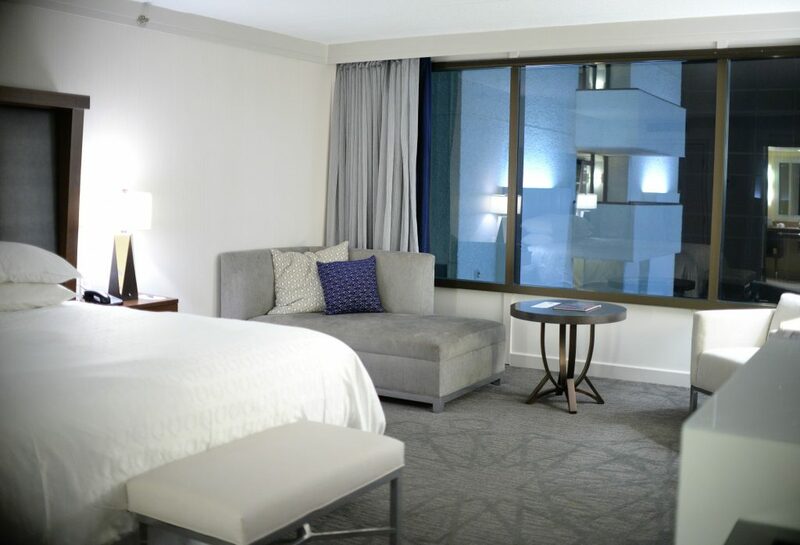 With over280 guestrooms, you have your options of standard and suites, all with a contemporary aesthetic. 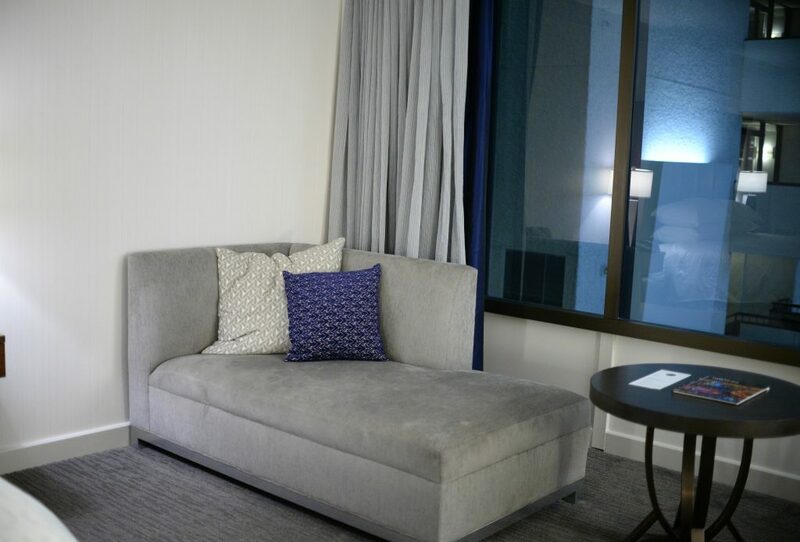 As soon as I entered our suite, I was blown-away and super impressed on how spacious it was. It had a separate room for lounging and relaxing, a master bedroom for sleeping, and to top it off one and a half baths (so Derek and I didn’t have to share a bathroom in the morning). 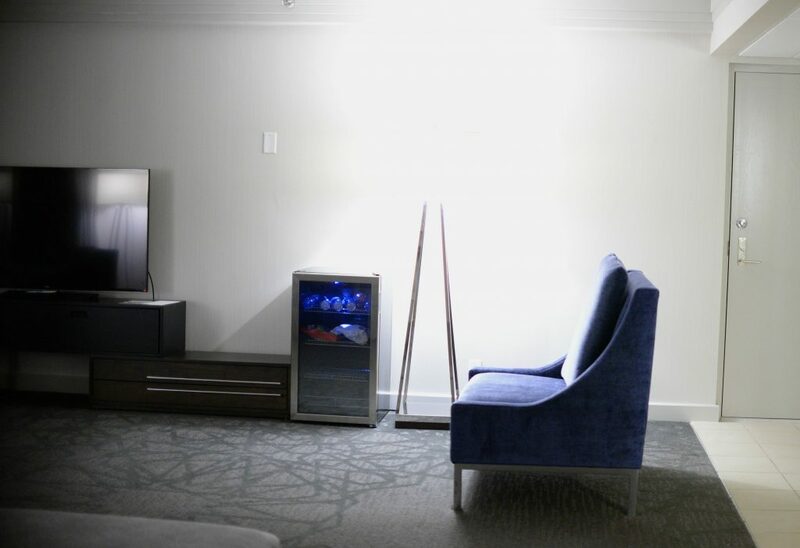 The hotel also offers 24-hour room service and high-speed internet access, ensuring you never have to leave your room to eat or accomplish work. The one thing I find annoying about staying in hotels, is how bright it gets in the morning, even with the blinds drawn. Our room actually overlooked the lobby, and featured tinted windows, so it stayed extremely dark in the morning, allowing us to sleep-in. 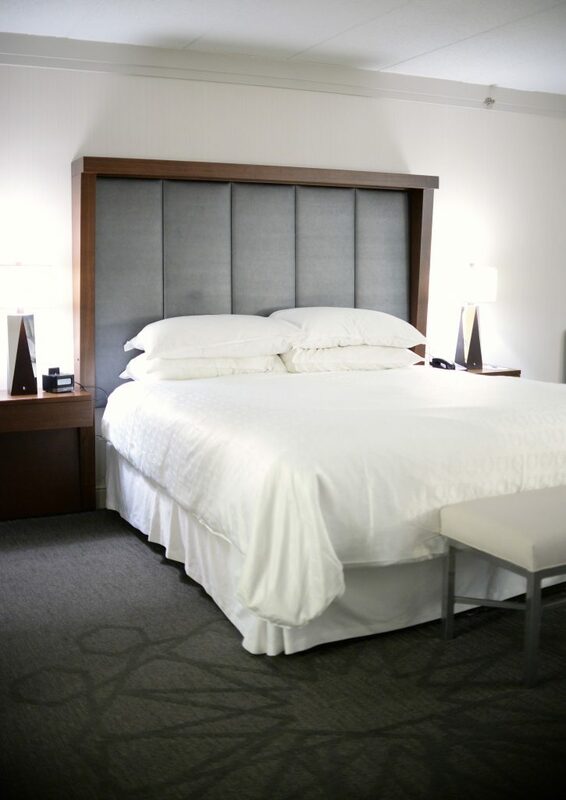 The bedroom has a chic, fresh and contemporary feel with a king-size, pillow-top mattresses and a deluxe headboard. The soft and plush duvet kept me snuggled and warm all night long. As soon as your head hits the cloud-like, incredibly soft and plush pillows, it’s lights out. 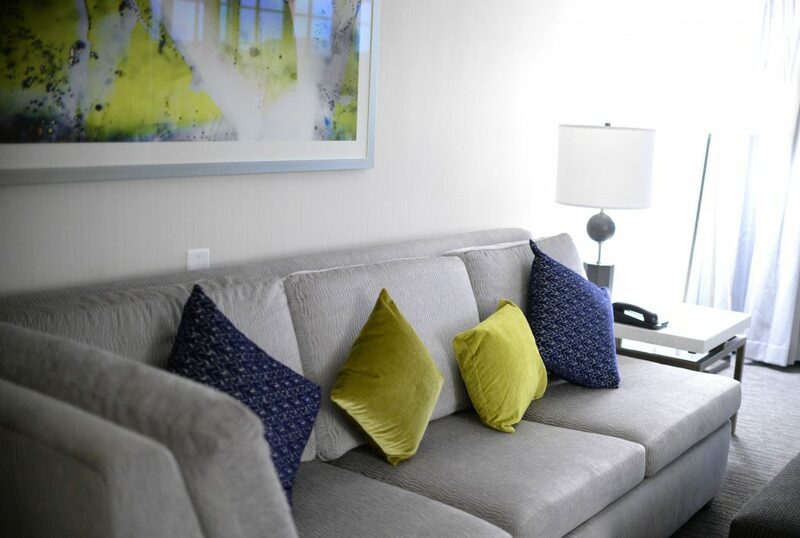 It’s the perfect place to relax, recharge and get a good night’s sleep before taking on a busy day. The room also features a flat-screen TV for watching your fave show in bed, along with a full-size desk and even a lounge area. 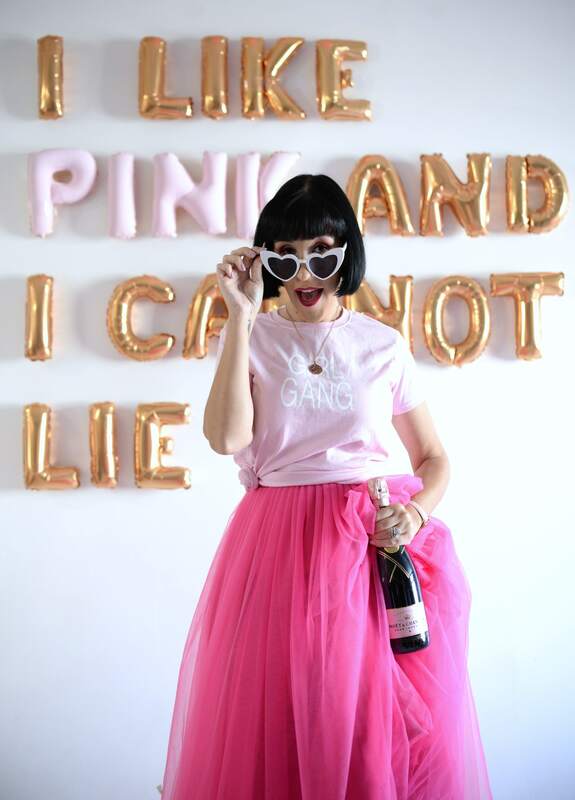 No details went unnoticed in both of the bathrooms, yes, you read that correct, 2 bathrooms with loads of room for getting ready in the morning. Both bathrooms are spacious, however the master off the bedroom is the one that shines. 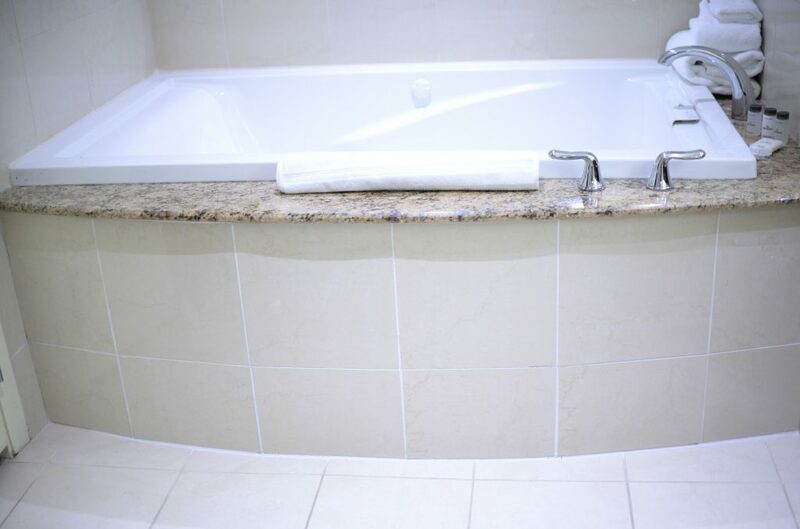 Not only does it feature a stand-alone bathtub, but it also contains a glass encased shower and large vanity countertop and sink. 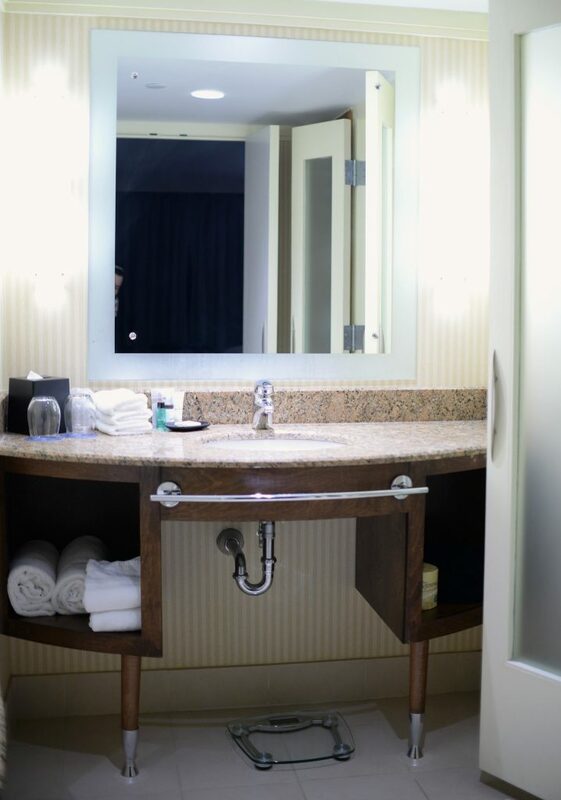 The half-bath also features a large countertop and sink, with large light-up mirror, making makeup application a breeze. As for the living area, it’s even larger than the master bedroom, which allows for a calming atmosphere. 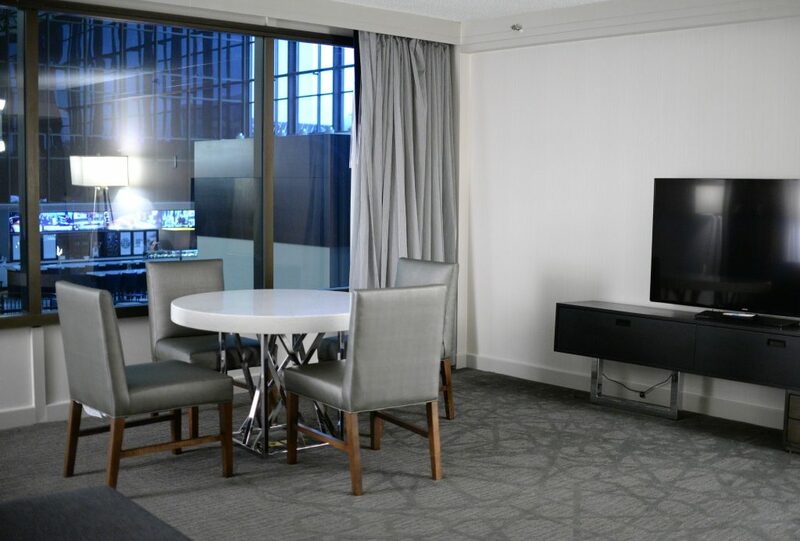 It comes with cozy seating, a club chair, full-size kitchen table for enjoying some room service or getting some work done on your laptop. 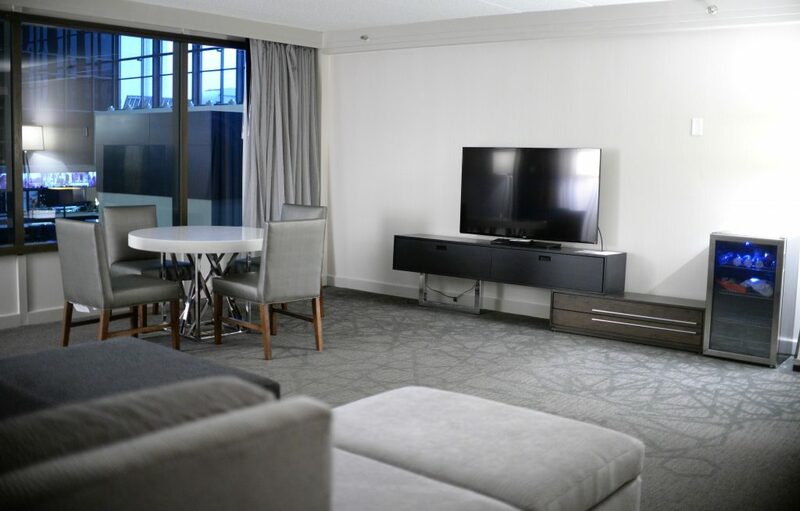 This room also features a large flat-screen TV and mini-bar for your enjoyment. I love the feminine and masculine touches, it’s a nice contrast between both. 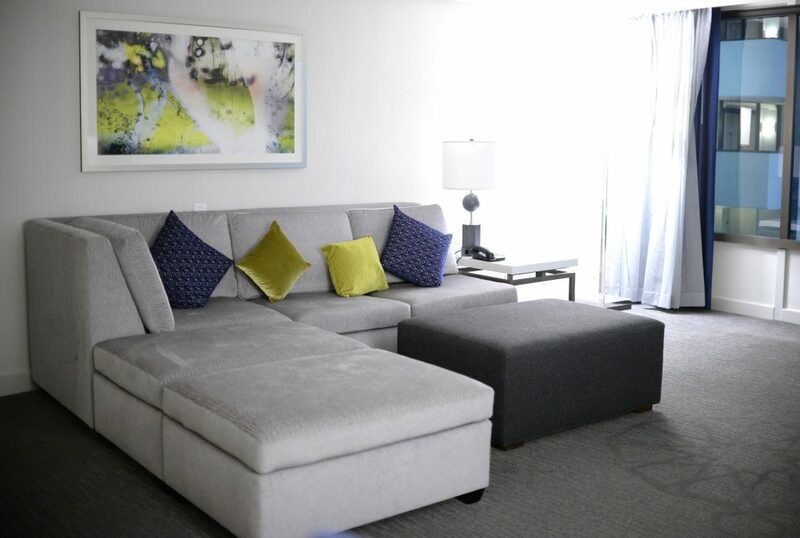 This room is large enough to have the comfort of home, even while you’re traveling. I never felt trapped in a small hotel room, waiting for the moment that I can get outside and enjoy some space.